Are you interested in Chinese art and culture? Do you have some spare time and would like to volunteer, meet new people and gain valuable experience? 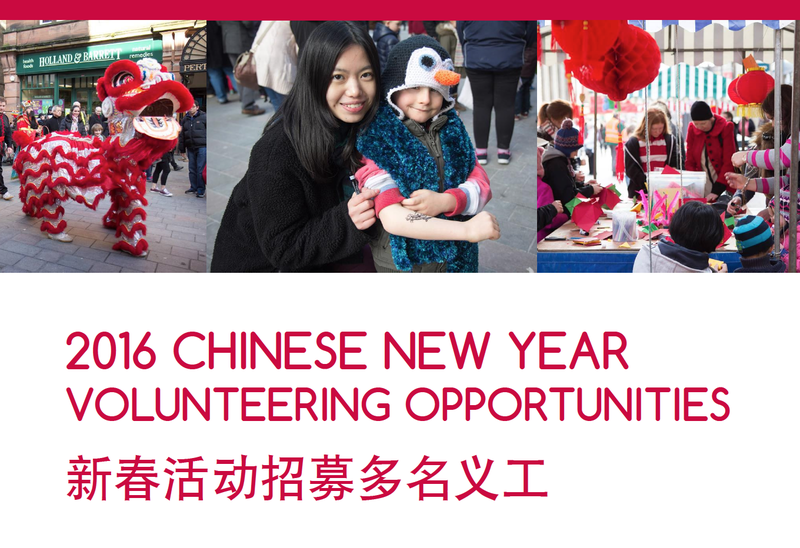 We are looking for new volunteers to help with our Chinese New Year events in Scotland. Lunch will be provided on the event day. For our events at Edinburgh and Perth, we have arranged a van to go together as a group from Glasgow and come back together. If you are interested to sign up as volunteers, please go to Ricefield’s website to sign up our volunteers form (http://ricefield.org.uk/volunteer/) or send us an email at info@ricefield.org.uk.